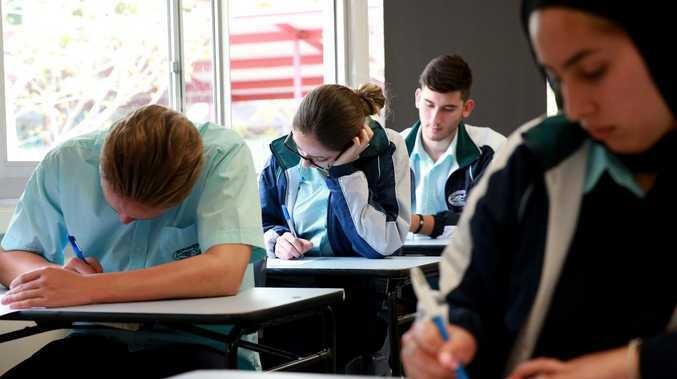 The number of HSC students asking for extra points on their university entrance score on "hardship" grounds including divorce or criminal activity at home, moving interstate or their parents being on welfare has surged by 60 per cent in just one year. 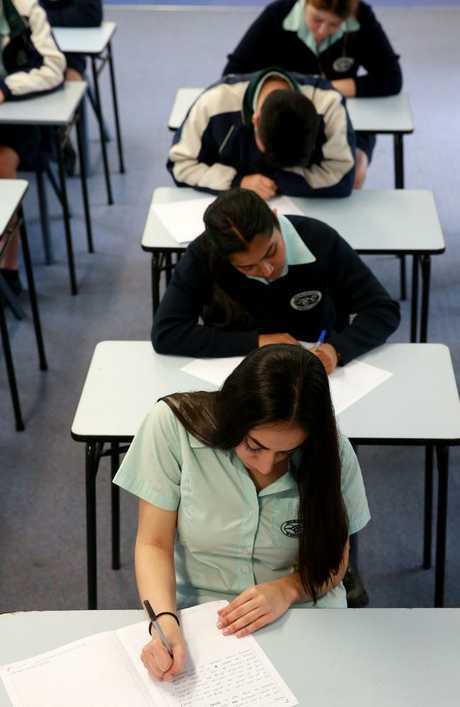 The sharp rise has prompted education experts to warn a system meant to help genuinely disadvantaged high school students get into university is being "gamed" by people who don't deserve it. 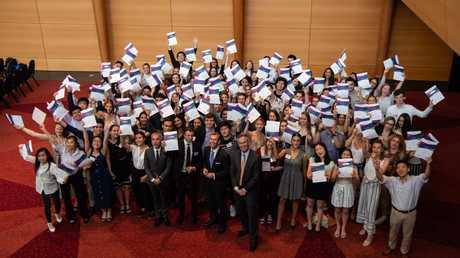 News Corp Australia can reveal that 8,000 students have already applied to the University Admissions Centre for hardship points this year, with more expected as applications are open until the end of February. At the same time last year, 5,000 students had sought additional points under the scheme. 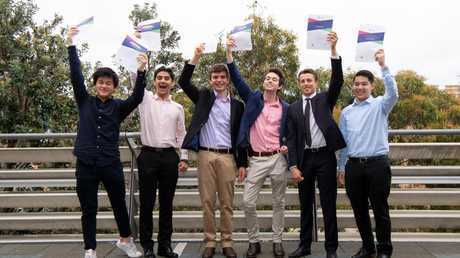 Another 9,225 students will get automatic consideration because their school is in a rural or remote area, bringing the estimated total this year close to 20,000 out of 56,000 HSC students who will receive an Australian Tertiary Admission Rank (ATAR). The equivalent total at the same time last year was 16,768. Students get bonus points if they are refugees, have come from non-English speaking countries, if their parents divorced or separated during their final years at school, they suffered illness, mental health issues or learning difficulties. Students can also seek extra points if they had to work "excessive hours" in their family business, went interstate or received Youth Allowance, Austudy or Abstudy. They are also eligible for more points if their parents receive Family Payment Part A. Poor students do not have to provide proof their education suffered during the year, but other categories such as illness require teachers to testify that the students' work was interrupted. Students can also seek additional points if their "home environment was severely disrupted for six months due to criminal/legal matters". Critics say the soaring numbers claiming extra help for being disadvantaged are a blow to an admission system based on academic merit, and are filling universities with students unsuited to further study. "There is an element of gaming here, despite the genuine need for equity," said Australian Tutoring Association chief executive Mohan Dhall. "The issue is universities are competing for students, they get funding for every bum on the seat and want more students. "The question of merit is very interesting - should people get bonus points if a grandparent dies? It can be subjective, as to whether they were close to that person or not and was deeply affected." "How do we know when parents divorce it's not a relief for the child to be away from a violent parent?" There are now 25 specific disadvantages that universities will consider in applying the bonus points. Many students were told in late November if they were successful in meeting the eligibility criteria and will find out if the bonus points were enough to get them into a course when they get their uni offers on December 20. UAC was not able to say what proportion of students didn't succeed in their hardship claims, but is still encouraging students to apply, right up to the last deadline of February 8. "Educational Access Scheme works by applying an equity adjustment factor (previously referred to as bonus points) or setting aside a number of places for applicants who have experienced long-term educational disadvantage," UAC says. Professor Peter Murphy, who has written about the history and structure of universities in Australia, says the student equity scheme "does not deliver lifetime success" but was "another pointless bureaucratic industry". "Admission points based on non-academic criteria underline that universities are no longer interested in intellectual performance but rather in social welfare," Professor Murphy, author of Limited Government, said. "Academic merit has become a distant second to social access. "What matters to universities today is not how a student performs but what the government hands out - in this case preferment based on social circumstance rather than academic achievement. "Because access has become an obsession, universities today are inundated with students who are unsuited to academic study. These students learn little, contribute less, and go on to work in jobs that don't require a degree." The bonus points - now renamed "adjustment factors" vary from university to university, but some offer an extra 5 points under the scheme. Mr Dhall said there had been a crackdown on students with learning difficulties getting extra points after private schools began getting a disproportionate number - but this meant genuinely dyslexic students were missing out. Students have until February 8 to claim extra points. 1. You attended three or more different secondary schools in Australia during Years 10, 11 and 12 or equivalent. 2. You have English as your first language and started school in Australia during Year 11 and/or Year 12 and arrived from another country. 3. You moved interstate during Year 11 and/or Year 12. 4. You have missed long periods of schooling in Year 11 and/or Year 12 for a non-medical reason. 5. Your parents received Family Tax Benefit Part A during Year 11 and/or Year 12. 7. You received another Centrelink income and asset-tested entitlement such as the Disability Support Pension for a period of at least three months during Year 11 and/or Year 12. 8. You experienced exceptional financial hardship during Year 11 and/or Year 12. 9. Your home environment was severely disrupted for a period of at least six months due to the death of an immediate family member or close friend during Year 11 and/or 12. 10. Your home environment was severely disrupted for a period of at least six months due to the relationship breakdown and separation of your parents during Year 11 and/or 12. 11. Your home environment was severely disrupted for a period of at least six months due to the severe or life-threatening illness/disability of an immediate family member or close friend during Year 11 and/or 12. 12. Your home environment was severely disrupted for a period of at least six months due to criminal/legal matters during Year 11 and/or 12. 13. You, or your parents, or any of your siblings have experienced severe abuse for a period of at least six months during Year 11 and/or 12. 14. 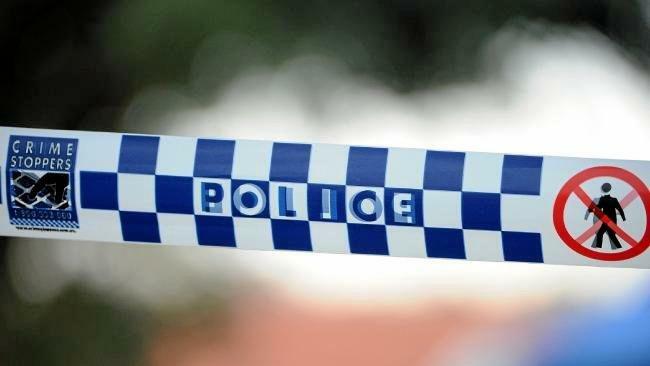 You've had excessive responsibility for care of children and/or other family members for a period of at least six months during Year 11 and/or 12. 16. You've had excessive responsibility for the care of yourself, while living independently, with no family or partner support, for a period of at least six months during Year 11 and/or Year 12. 17, 18, 19. You are a 2018 Australian Year 12 applicant and experience difficulty with the English language and came directly to Australia from a non-English speaking country. This category comes in three groupings - students who began their education in year 11 or 12, students who began in Year 7 to 10, or didn't undertake any formal education at an institution where the language of instruction was English. 21. You entered Australia as a refugee, or on a Global Special Humanitarian visa (subclass 202), or were granted a refugee, or a Global Special Humanitarian visa (subclass 202) after your arrival. 22. You're studying any of your Year 12 courses through a secondary distance education centre or an Access Program as a result of circumstances beyond your control or choosing; for example, the Year 12 course you have chosen is not provided by the secondary school you are attending. 23. You attended an Australian rural school during Year 11 and/or 12 or equivalent. − a population of less than 5,000 people and a distance between 50km and 99km from the nearest centre with a population of 10,000. 25. You attended an Australian rural or regional school during Year 11 and/or 12 or equivalent.